Ragnarok, Schmagnarok! 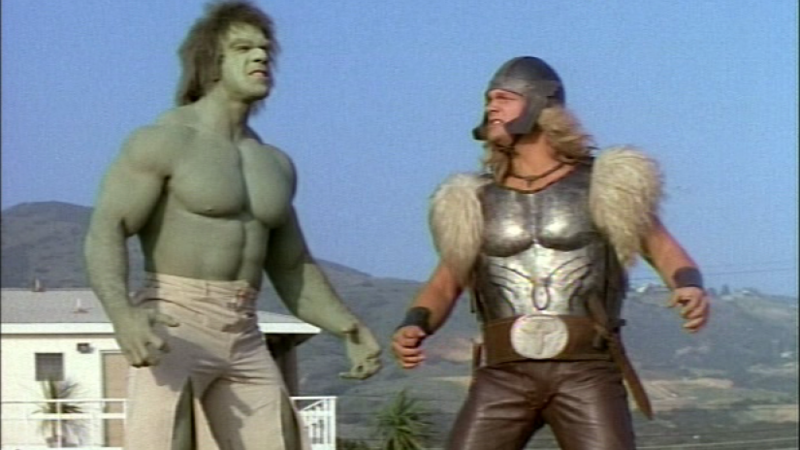 Let’s talk about the first live-action meeting between the Incredible Hulk and the Mighty Thor: 1988’s The Incredible Hulk Returns. Six years after The Incredible Hulk was abruptly cancelled by CBS, Bill Bixby and Lou Ferrigno returned to their familiar roles in the first of what would eventually be three TV movies, this time airing on NBC. Directed by series veteran Nicholas Corea, Returns finds our hero David Banner—now dba as David Bannion—happily involved with a widow named Maggie Shaw (Lee Purcell). While still haunted by nightmares, Banner has found some level of peace in life, and we learn that his monstrous alter ego has not surfaced in more than two years. Banner is gainfully employed at a nearby research institute where Maggie also works. The institute is experimenting with a gamma transponder, work that has garnered a lot of press attention. Banner has managed to earn enough trust with his employers that they let him work late at night, when no one else is around. One evening, Banner straps himself into the machine (shades of the series’ very first episode), with the goal of using the transponder to cure him of his affliction once and for all. Unfortunately, his “test flight” is interrupted by Dr. Donald Blake (Steve Levitt), a former student of Banner’s who thought Banner was dead. But when he caught a glimpse of his former mentor on the news, Blake realized Banner’s particular genius might be the right solution to his own…unique problem. As Blake explains, years ago he was on an expedition to Norway, where he discovered an ancient tomb housing the skeletal remains of what looked like a Viking warrior, along with an enchanted hammer. When Blake touched it, it called forth the spirit of Thor (Eric Allan Kramer), who was banished to Earth by Odin. Banner, despite his own experiences with the unbelievable, initially thinks Blake is suffering from some sort of post-traumatic stress, but he sees the light(ning) when Blake uses the hammer in question to summon forth Thor, right there in the lab! Unfortunately, Thor is such a bull in a china shop he accidentally damages some of the lab equipment, angering Banner, which leads to…the return of the Incredible Hulk! The two have a brief tussle (Thor quickly realizing he is outmatched), and the Hulk escapes into the night. The next day, news of the strange events catches the eye of reporter Jack McGee (returning series vet Jack Colvin), who spent years tracking the Hulk and is now hot to pick the unresolved story back up. To make matters worse, a criminal cabal inside the institute has decided to make its move, and attempts to steal the transponder and kidnap Banner. 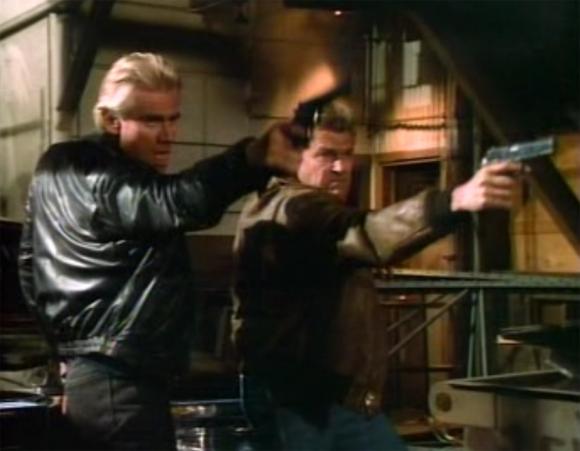 Led by a man named LeBeau (Tim Thomerson), the gang’s plan is thwarted when the Hulk gets involved. LeBeau then decides to change tactics, kidnapping Maggie Shaw, and using her as leverage against Banner, forcing him to turn over the transponder. Banner, worried the transponder could be turned into a weapon, dismantles it, ending his chances of being cured. The Hulk, Dr. Blake, and Thor “team up” to rescue Shaw from the gang, and after they defeat the crooks, it becomes clear that Maggie knows Bruce is the Hulk. To protect her, Banner leaves Maggie. He bids goodbye to Blake and Thor, and finds himself wandering the country, searching once again for a way to control the raging spirit that dwells within him. Cue sad music! 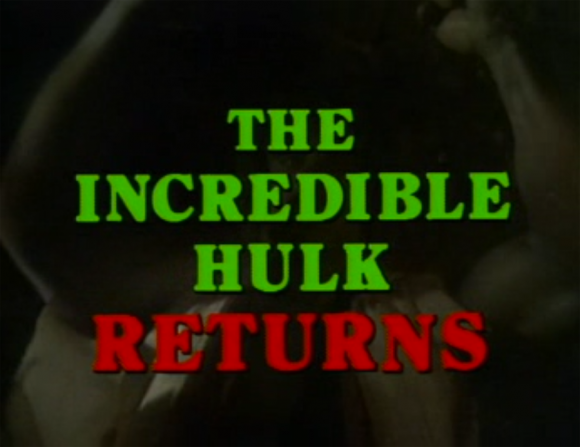 I remember watching The Incredible Hulk Returns when it aired in May 1988, and I. Was. So. Excited. Not only was one of my favorite TV shows coming back, they were bringing in another hero from the Marvel Universe! 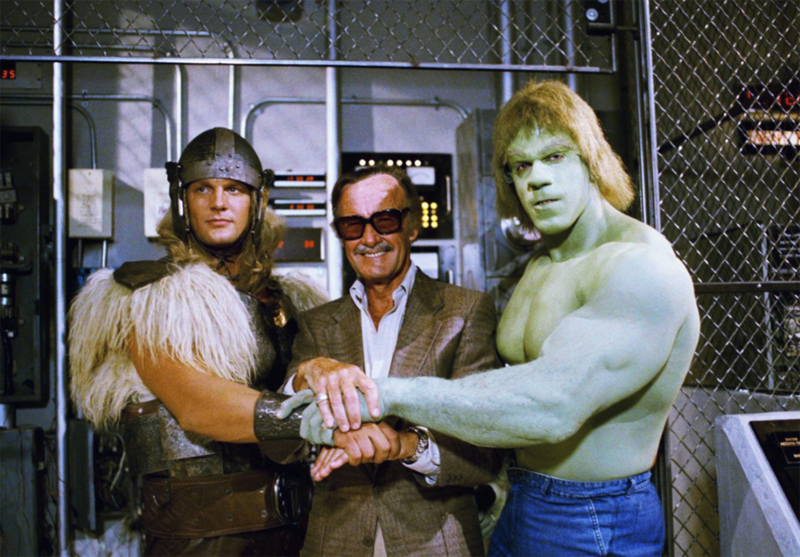 Seeing the Hulk and Thor on screen together was just so very cool. With the benefit of hindsight (and 20-plus Marvel movies), The Incredible Hulk Returns can be viewed for what it was: a noble effort hampered by a bargain-basement budget. Trying to do another Marvel hero at all was already pretty gutsy, but having it be Thor was so ambitious it borders on hubris. The Incredible Hulk TV series was steadfastly earthbound—the Hulk never took on any of his famous rogues gallery, almost always just squaring off against crooks, mobsters, and other standard TV bad guys. So contriving a way to bring in Marvel’s God of Thunder is kinda like trying to hit a home run on your first Major League at bat. Of course, Bixby and his team (original series creator Kenneth Johnson was not involved) take considerable liberties with the Thor character. Instead of Dr. Blake transforming into Thor, here they are two distinct people. The movie even takes the time to follow Blake and Thor to a bar, where the bookish, nerdy Blake has to sit in the corner while watching his muscled, beer-guzzling partner charm the ladies and make friends with local bikers. Not one of the bikers. Thor’s outfit doesn’t look a thing like his comic book togs, but it works reasonably well on its own terms. His hammer is never shown to be anything special—it’s just a hammer—which is too bad, because the whole only-the-worthy thing is such an easy (and cost-effective) gag it’s amazing they didn’t think to include it. At first, Thor seems like a one-note blowhard, but we do get to see little bits and pieces that there might be hidden depths there. 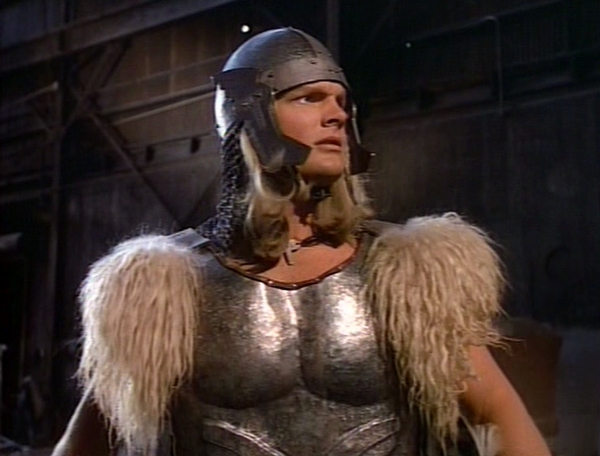 The producers were clearly hoping a Thor spin-off show could come out of this movie but, despite this film’s huge ratings, that never happened. I guess the budget was simply too tight to give Hulk and Thor—two characters in the comics that can basically throw planets around—anything more than traditional crooks as adversaries. Aside from the aforementioned Tim Thomerson, the cast also features great character actor Charles Napier (having Thomerson and Napier together violates the FCC Excessive Lantern Jaw Act of 1978), but neither one of them is given much flavor. It would have been too much to expect that, you know, the Rhino shows up or something, but it’s really too bad that these two comic-book powerhouses never get to take on anyone even close to their level. The Incredible Hulk Returns ends like it has to, with Banner walking a lonely road accompanied by that iconic theme (composed by Joe Harnell, who died in 2005—I hope he got to see how beloved that piece of music was to a generation). Luckily for Bruce, he wouldn’t be lonely for long—this film’s huge success would result in a follow-up movie, The Trial of the Incredible Hulk, just one year later. But that’s another story! If you want to hear more about The Incredible Hulk Returns, listen to the 11/1 episode of The Film and Water Podcast — click here! Rob Kelly is a writer/artist/comics and film historian. He is the co-host of Aquaman and Firestorm: The Fire and Water Podcast, the host of The Film and Water Podcast, and the host of TreasuryCast. No one likes him when he’s angry.